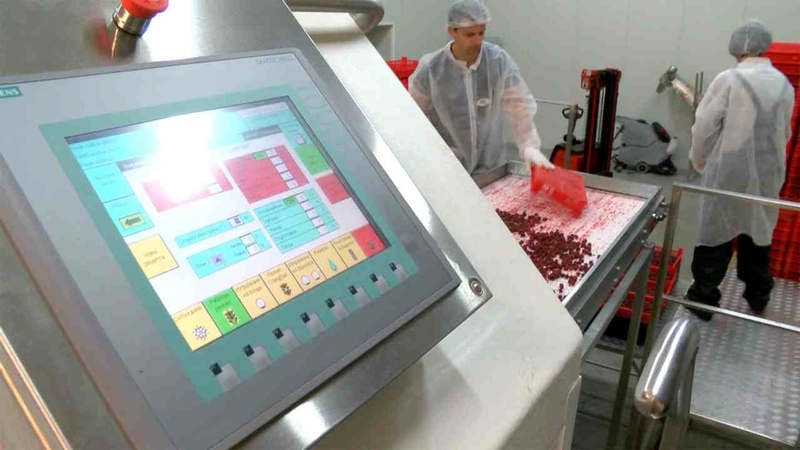 The RDP supported a Bulgarian agri-food firm to modernise its operations through state-of-the-art berry freezing equipment. Bulfruct Ltd. is a Bulgarian agri-food firm specialised in freezing soft fruits. The frozen fruit sector continues to be very competitive on a global level with imports from countries in Asia, South America, and Africa exerting increasing pressures on European companies to innovate in order to retain their market shares. Thus, Bulfruct was aware of the need to introduce more cost-effective freezing processes for its soft fruits and it used RDP funds to help cover some of the investment costs involved in purchasing new high-tech, highly efficient, berry freezing equipment. The aims of the RDP project focused on improving the productivity and competitiveness of the company. This would allow the firm to continue its growth plans as well as safeguard a significant number of jobs (direct and indirect) in the regional supply-chain of fresh soft fruits. RDP co-finance was used to part fund the purchase costs of a new piece of high-tech machinery for freezing soft fruits. The machinery was sourced from Scandinavia. Results of the investment saw the company’s productivity increase by 50% in the first six months after the new machine became operational. The new equipment not only freezes more berries in a shorter time but it also preserves the shape of the berry better than Bulfruct’s previous freezing methods. This provides an additional competitive advantage. In addition to improving its work flow efficiency, the company was also able to expand its workforce. RDPs can provide an effective source of investment support to help agri-food firms to innovate and implement modernisation plans in order to develop their businesses and compete in globalised markets. Outcomes of such RDP support create benefits for the businesses involved as well as employees and EU consumers seeking secure supplies of high quality food that is affordable, healthy and tasty. Projects like this can also hold useful demonstration value to encourage more rural firms to innovate.